Super '90s flying disc game Windjammers is now available to purchase for Nintendo Switch via the eShop. A new launch trailer was also uploaded by developer Dotemu to spread the good word. Windjammers, which originally hit the arcades and Neo Geo platform in 1994, mixes radical aesthetics, Frisbee and air hockey to create simple but addictive head-to-head gameplay. 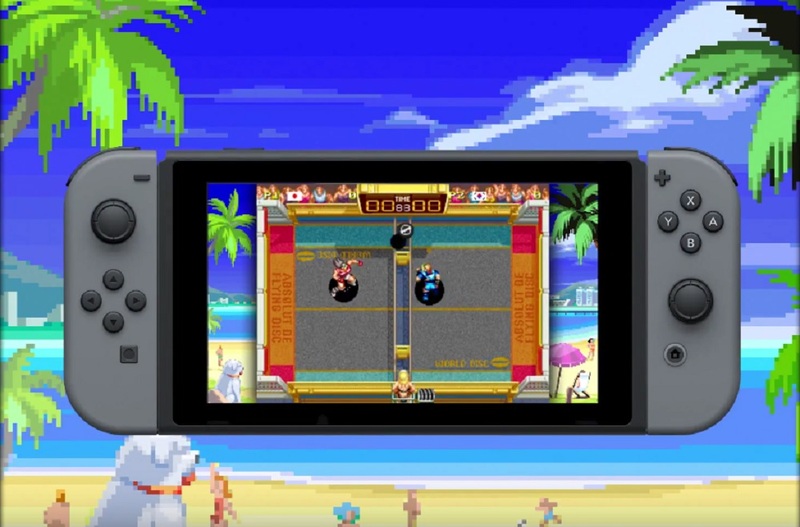 Windjammers recently saw a renaissance, blowing up with a PS4 and PS Vita re-release last year (of which this new Switch release is a port). You can purchase Windjammers on Switch today for around $15, which gives you the perfect opportunity to get on top of your games for the long, long LONG awaited sequel, Windjammers 2, launching sometime in 2019, duuuuude.